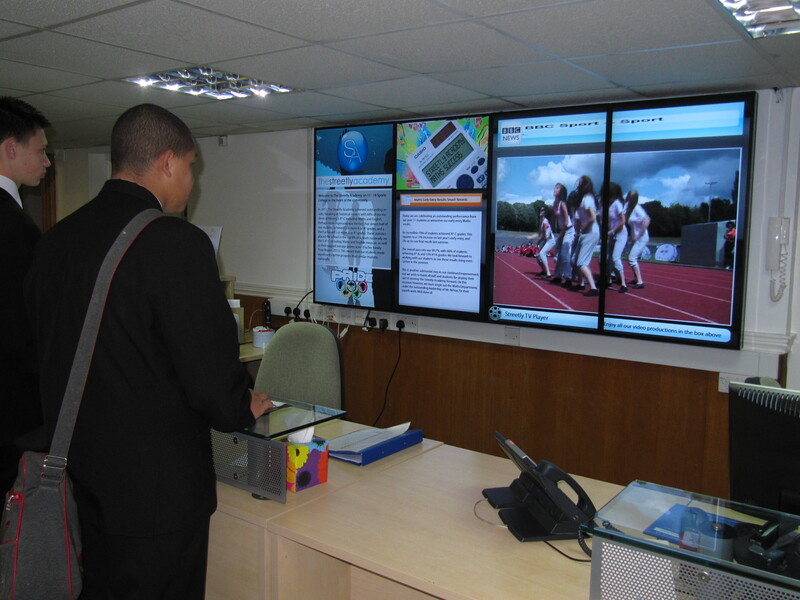 The Streetly Academy, a West Mindlands- based Sports college uses digital signage to mark its achievement of Academy status and present its exceptional academic results. A large digital wall controlled by digitalsignage.NET was installed in the main reception area to greet visitors, inform staff and students as they queue at the reception desk. The college chose to show a mix of videos featuring staff and students at various events and competitions as well as course- related information and general information about the Academy. 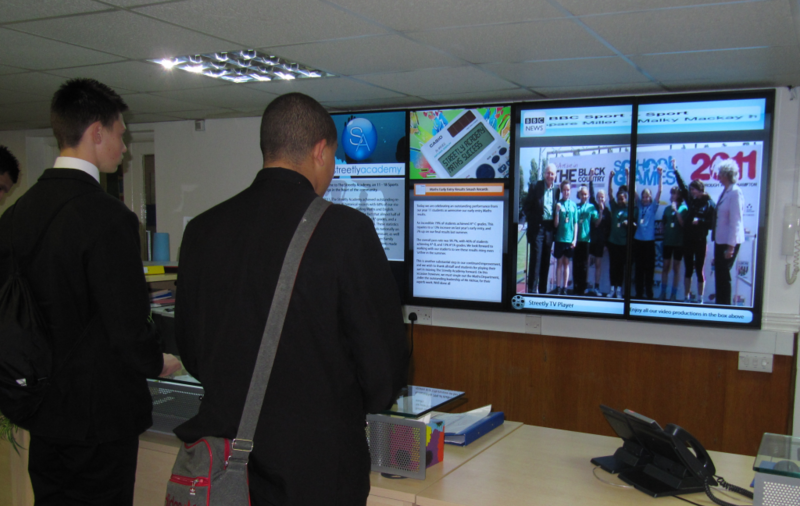 The new digital signage system reinforces the forward-looking image of The Streetly Academy, that prides itself with a position in the top 8% of all schools, nationwide. ‘ The school used the IPTV product of our partner, Chamber TV, to stream live footage from a local event and make a positive contribution to their community ‘’ Streaming the winter 2012 Black Country Games from a live feed promotes events from the wider community with the school’s participation.’’ said the school’s IT Manager. The LCD tilling video wall is made of 1 x 4 -46’’ Narrow Bezels and was installed by Chamber TV. The school is an 11-18 Sports College situated in the West Midlands, UK. In 2011 it achieved outstanding results with more than 68% of their students scoring 5 A*-C including Maths and English. The Academy has an extensive Duke of Edinburgh Awards scheme, Sports Leaders programmes and a highly effective School Council. Sign up to digitalsignage.NET for free and see for yourself how the system works.